Just a few days after reporting the mysterious device from LG with a really thin bezel, now we have yet another photo of the same device, details of which are still not known. The device in the photo looks to be the LG Optimus G2, but there is no way to confirm this speculation. The picture shows clearly a very thin bezel of the device. The photo is taken in a clear intention to show off the thin bezel. 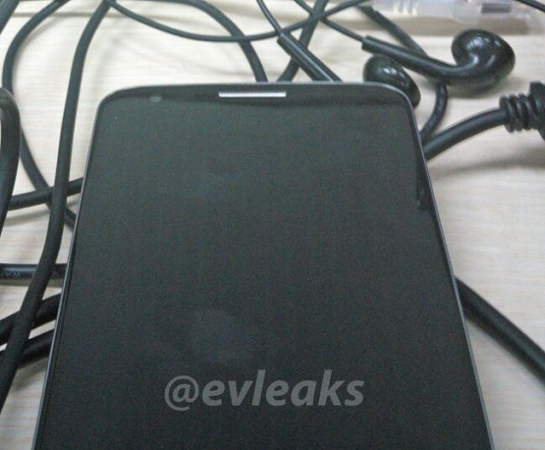 Also, some speculate this device to be the next Nexus device from Google designed by LG. While the exact details remain undisclosed, LG immediately sent out invitations for May 30th event immediately after the image were leaked the first time. Also the phone in the invite is pretty thin, so could it be this phone?